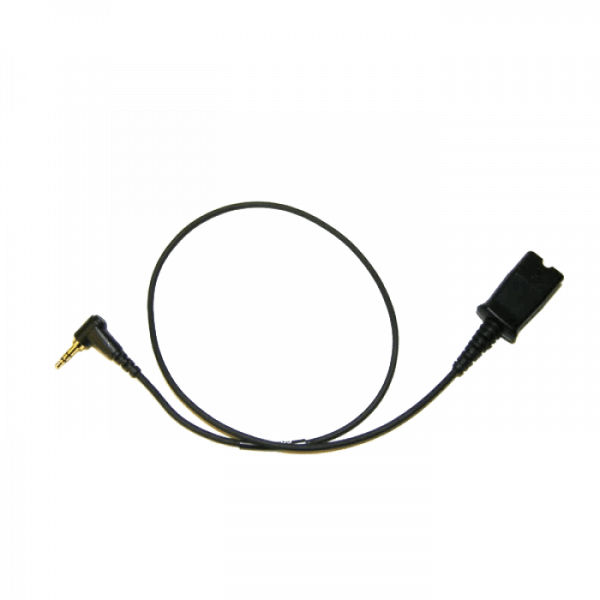 Plantronics 2.5mm Direct Cable (16 inches) - 64279-02 - Headsets Direct, Inc.
2.5mm patch cable (# 64279-02) is used as a Direct Connect Cable which connects an H-series headset into a compatible phone with a 2.5mm jack. 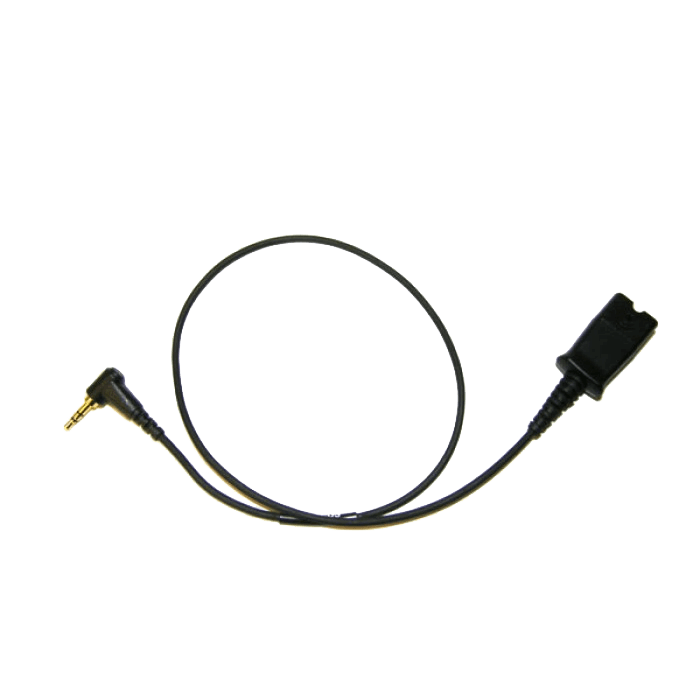 Originally designed for Cisco phones, this SPA telephone cable (# 64279-02) connects your H-series headset to compatible Cisco phones using 2.5mm headset jack. NOTE: The 64279-02 Cisco cable is 16 inches long. We recommend also purchasing the 10 foot extension cable 40711-01 to provide sufficient reach from your desk phone. I bought this together with my new Plantronics EncorePro HW520 Binaural Headset and it was just what I needed to be able to connect to my phone and be able to disconnect quickly in case I have to get some files from another area and not lose the call. Its perfect for my needs and fits my phone just as it should. We had 2 desktop landline phones for our work-from-home offices with old Plantronics headsets. Bought 2 of these cables, and they help repurpose the Plantronics headsets to the VOIP wireless handsets. What is even more astonishing is the top-notch customer service from Toni Martin at headsetsdirect.com. She averted a technology mishap, troubleshooting calls, and returns/reorders by suggesting this cable would work better than the one I’d ordered. Efficient, effective attention to details is refreshing! No problems with it. Works great.